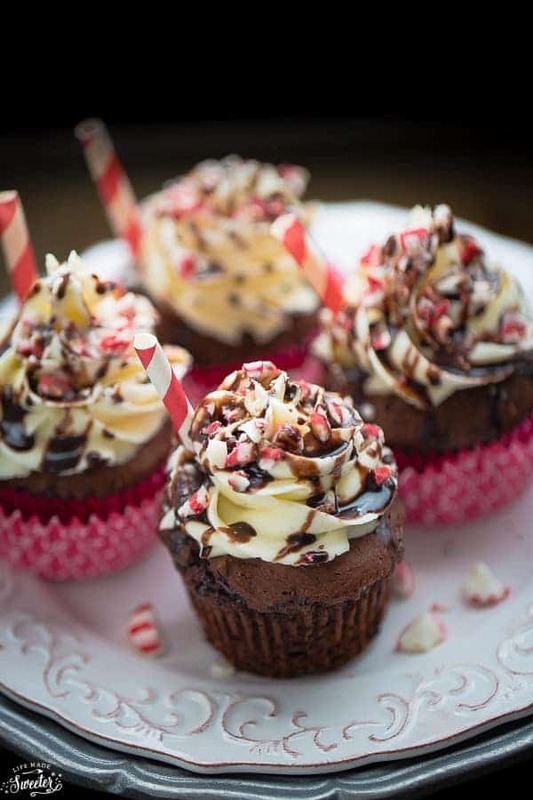 Peppermint Mocha Cupcakes have all the beloved flavors of the Starbucks drink in a delectable dessert. Perfect for the holidays! There’s something about the combination of peppermint and chocolate that get me every time. Back when I used to commute to work, there were around five or so Starbucks on my walk to the office from the train. I could easily pass right by them without a thought since I am not really much of a coffee drinker. But anytime they released their holiday flavors, I simply had to line up to get myself one. The Peppermint Mocha Lattes were among one of my favorites. 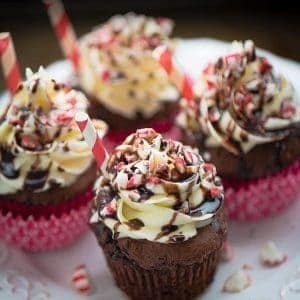 Since having my kiddos and now working from home, I haven’t had a Peppermint Mocha Latte in years so I thought it would be fun recreate those flavors in some cupcakes I was making to take along to a friend’s house. 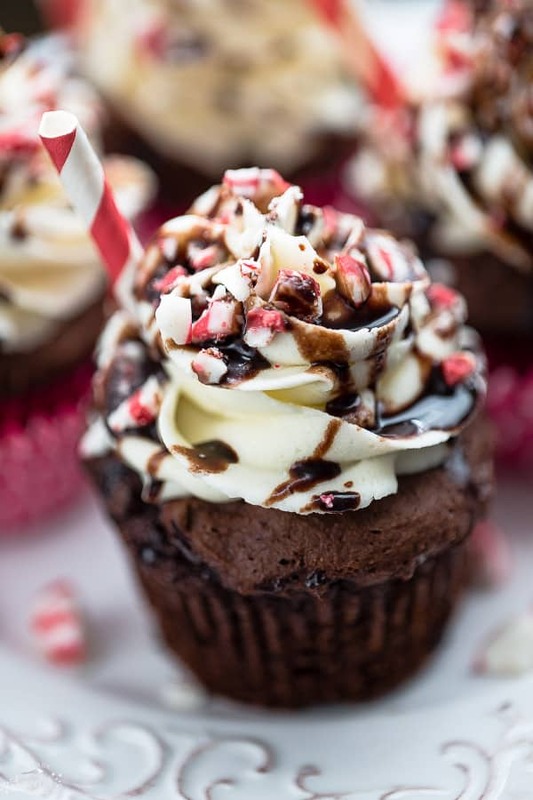 These Peppermint Mocha Cupcakes are rich, chocolaty, moist & have a good dose of instant coffee. 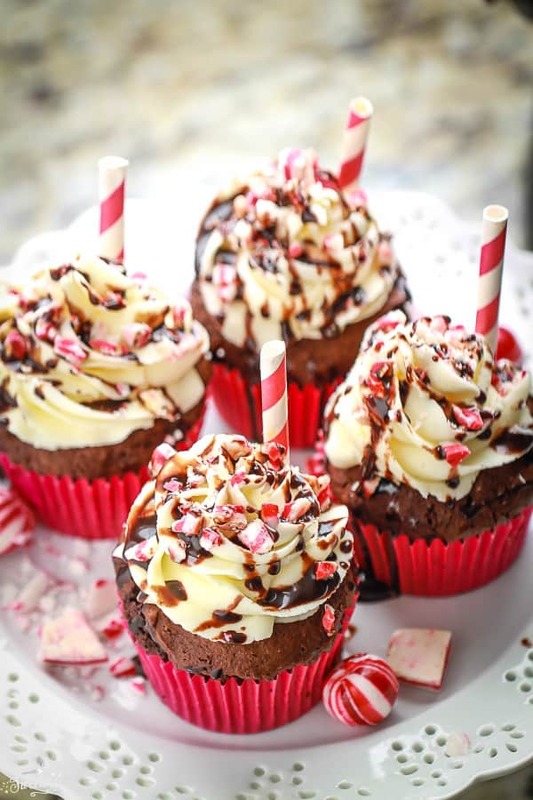 The cupcakes are topped with a creamy peppermint frosting that is so light and fluffy. Finally, a few sprinkles of crushed candy canes and chopped Andes Peppermint Crunch Thins followed by drizzles of melted chocolate. Preheat oven to 350°F. Line a standard cupcake tin with paper cupcake liners. In the bowl of stand mixer or using a hand mixer, beat together the egg, milk, oil, peppermint, and vanilla. Slowly add the flour mixture and beat on medium speed with an electric mixer for 30 seconds. Scrape down the sides of the bowl and continue mixing on medium speed for 1 to 2 minutes. Mix instant coffee with boiling water in a measuring cup and stir into batter until well combined. Frost cooled cupcakes. Drizzle with melted chocolate. 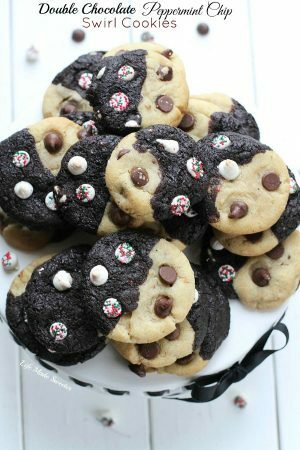 Top with crushed candy canes and peppermint Andes chips right before serving. Wow those cupcakes look so good, Kelly! Your cupcakes look amazing Kelly! Must try these! Count another time I wish I had one of your desserts, these look so darn good Kelly! Thanks for sharing! These look amazing, Kelly! I love peppermint and chocolate around this time of year! 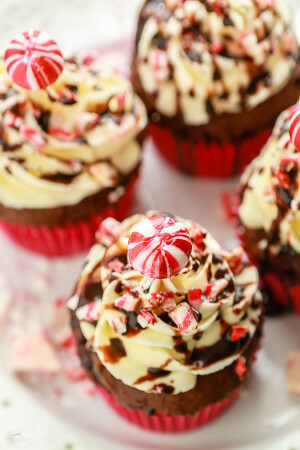 I bet these do taste amazing…and the creamy peppermint frosting is glorious! One of the best things about the holidays is peppermint! These look amazing! These are gorgeous! 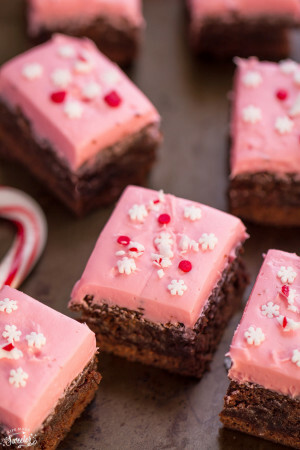 We love peppermint and chocolate together! Those cupcakes look amazingly, wonderful!